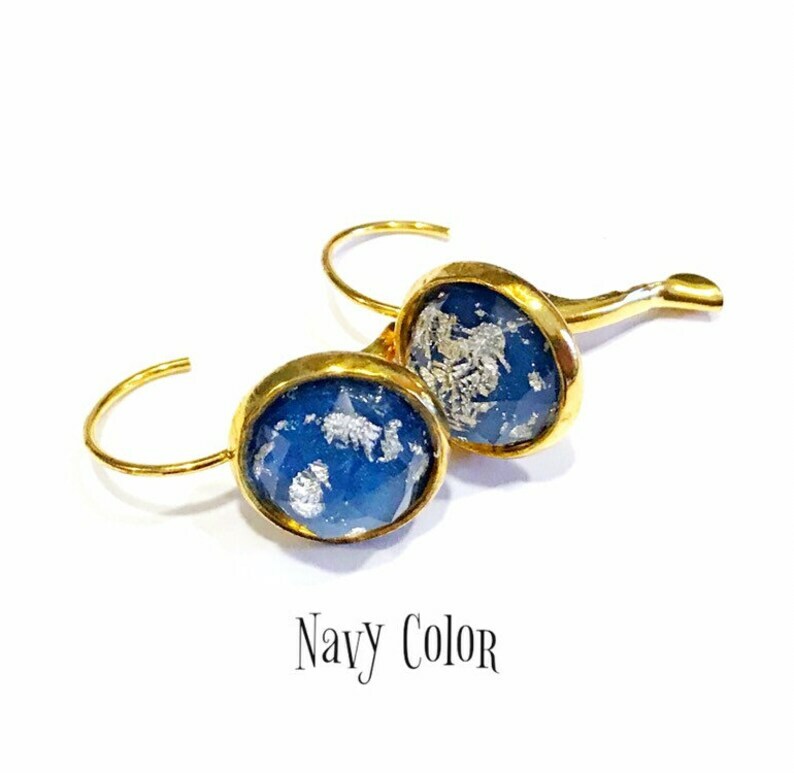 Funky gold leverback earrings for pierced ears features a colored faceted cabochon with silver leaf flakes inside the resin jewelry. 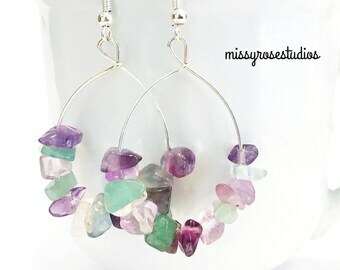 Wonderful alternative earrings that would make a terrific gift for a wife, mom, or even as lux wedding jewelry. Cabochon size is 12mm or 0.47" in diameter. Choose color in drop down menu: navy, ice blue, or melon. Metal is gold plated and lightweight. These handmade earrings gold and glittery are waiting for a special owner who appreciates fine detail and fashion jewelry. Ready to ship item. Ships in 1-2 business days. 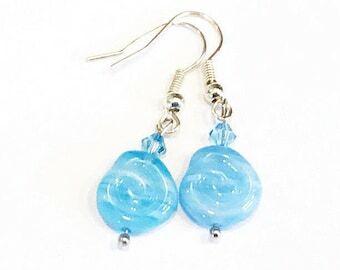 Earrings will be shipped first class mail in a kraft jewelry box made with recycled materials in a compostable mailer, depending on your total shop order. Gift wrap option available at checkout for an additional fee.